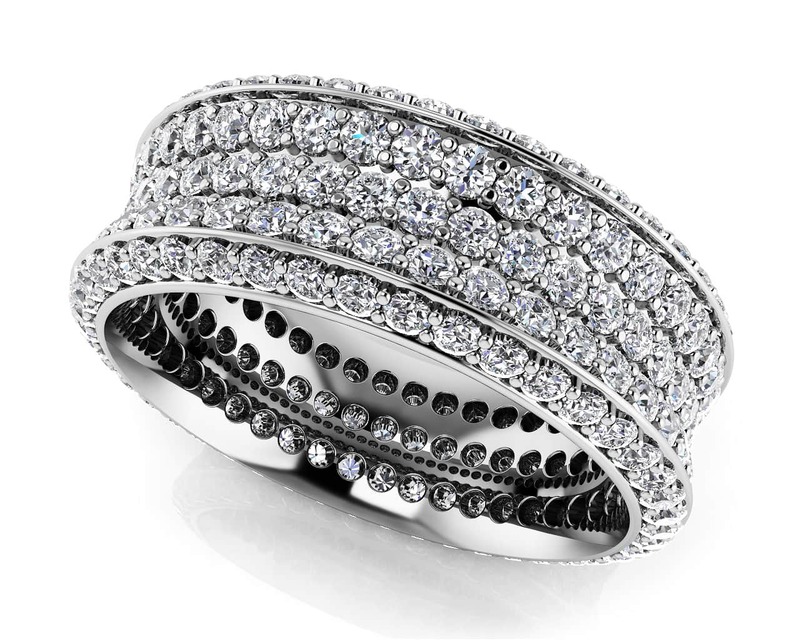 Dazzle and charm with this stunningly unique eternity ring. 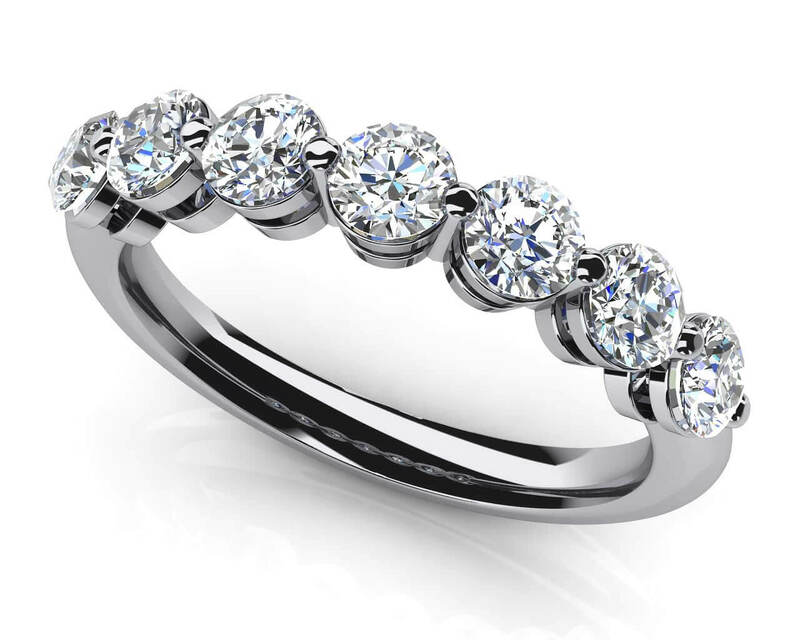 The inward curve of this design will mesmerize and delight as it easily sits on the finger to allow the five rows of diamonds to sparkle with brilliant shine. 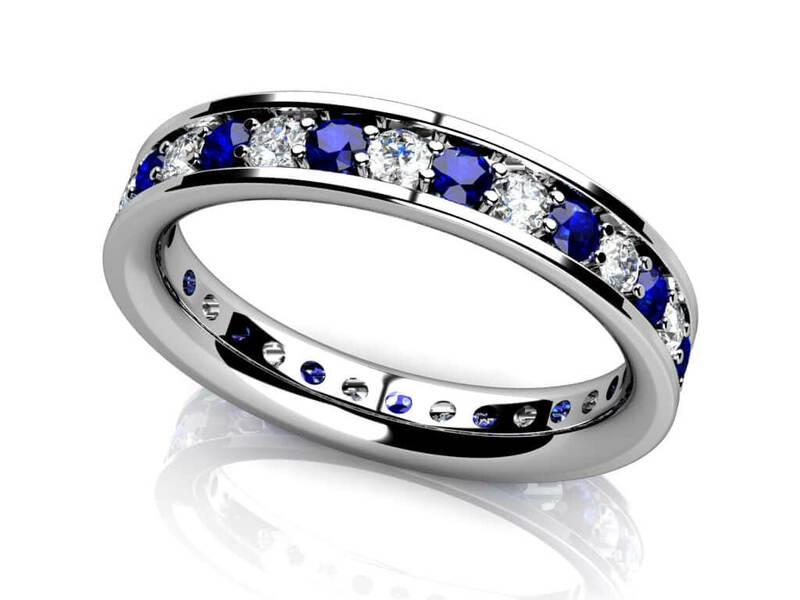 This remarkable eternity ring promises a big look to capture your heart. Stone Carat Weight: 90X0.008 ct., 126X0.010 ct.